Ahh, Valentine’s day is right around the corner- you may or may not have a romantic Valentine- but chances are there is someone in your life that you want to honor with an appreciative “I love everything about you” dinner. See how festively red? 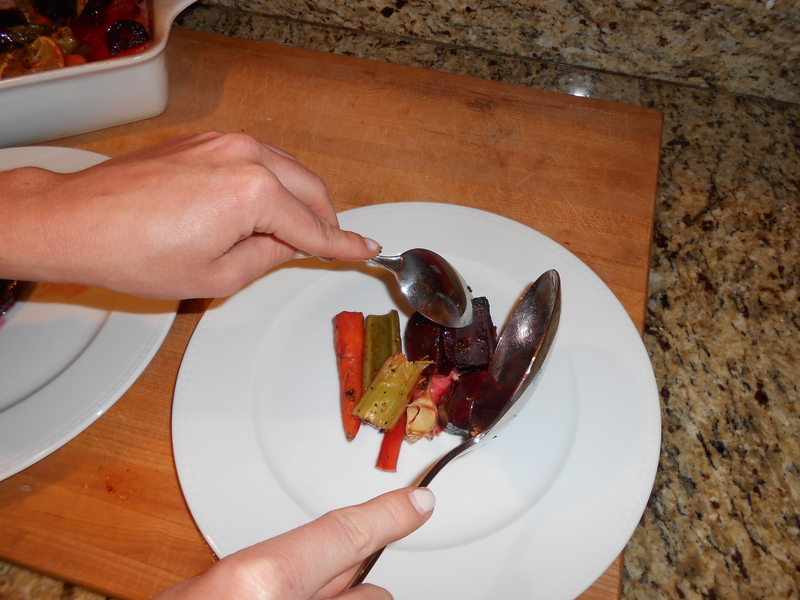 I hope eating beets doesn’t scare you- they are just like carrots, just with a ton of color! I don’t get any of the “dirt” flavor other people taste- and here, they are roasted to bring out their natural sweetness, soaked in the savory flavors of the chicken, and brightened up with a touch of wine. 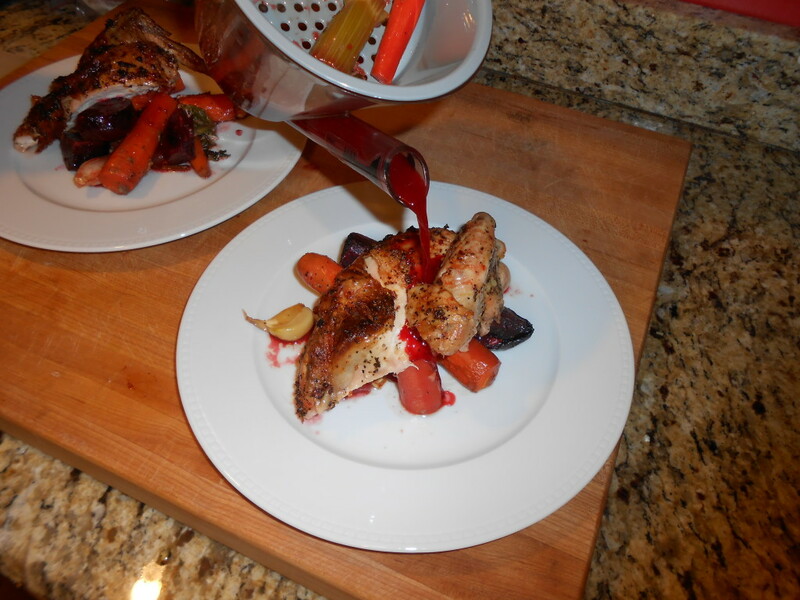 The sugars in the beets and carrots also help to caramelize the chicken a bit- creating sweet, crunchy sneaking bits of chicken skin off the cutting board…can’t help yourself amazingness. What you need: A 3-4lb chicken (though if you are cooking for your family, a turkey or capon will work, just multiply the other components), a few beets, a pile of carrots, a lemon, garlic, some celery, and not pictured: some salt, pepper, olive oil, and fresh or dried oregano, and optional: red chile flakes. Begin by making the rub/chicken smear. 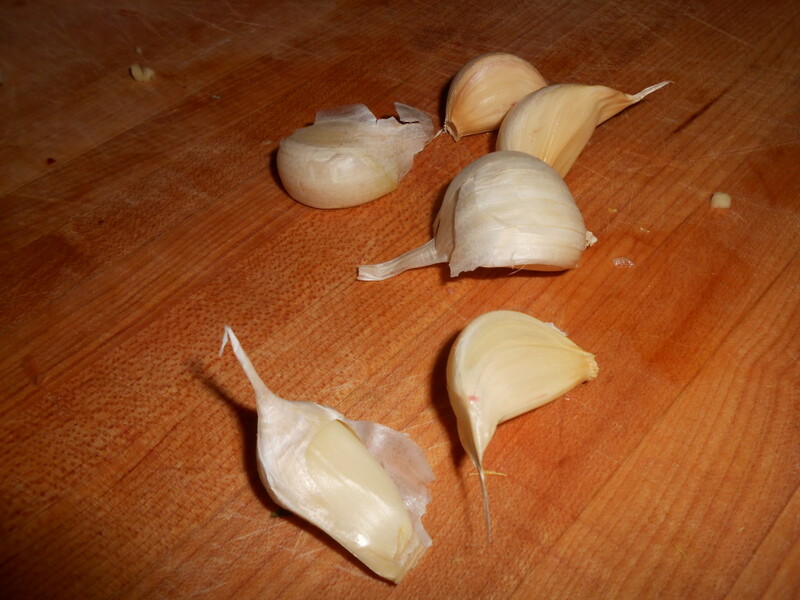 Mince 2 cloves of garlic, 1 teaspoon fresh oregano. 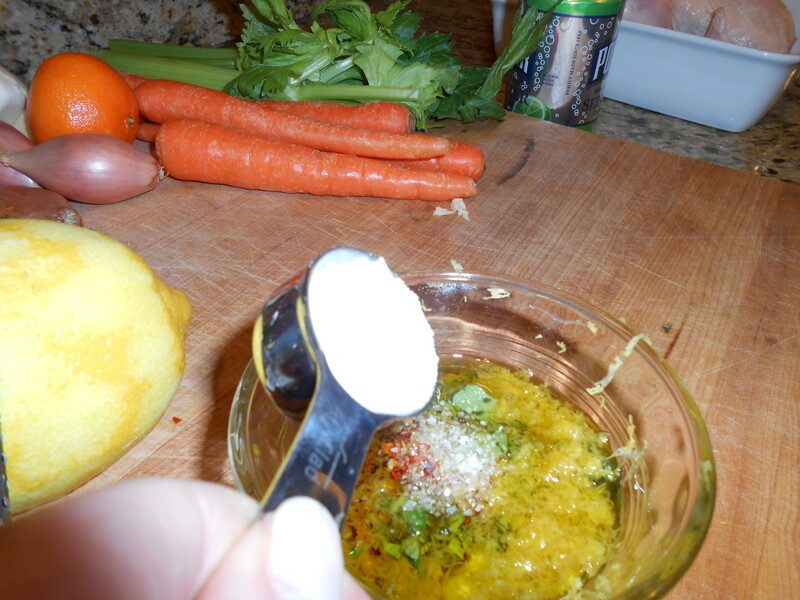 Add 1 tablespoon of salt, 1 tablespoon of pepper, the zest of one lemon, and a glug of olive oil (about 3-4 tablespoons). 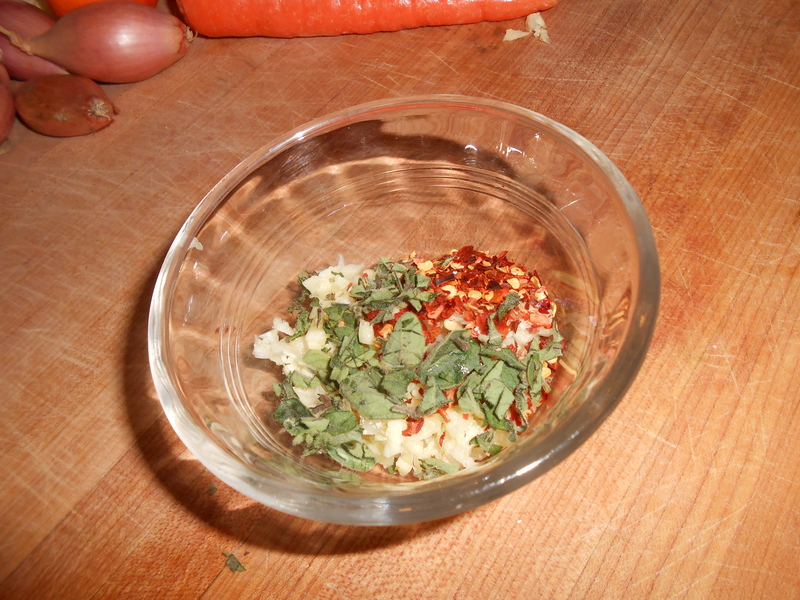 The mix is for the whole chicken- so it should be strongly flavored! Stir it all up! 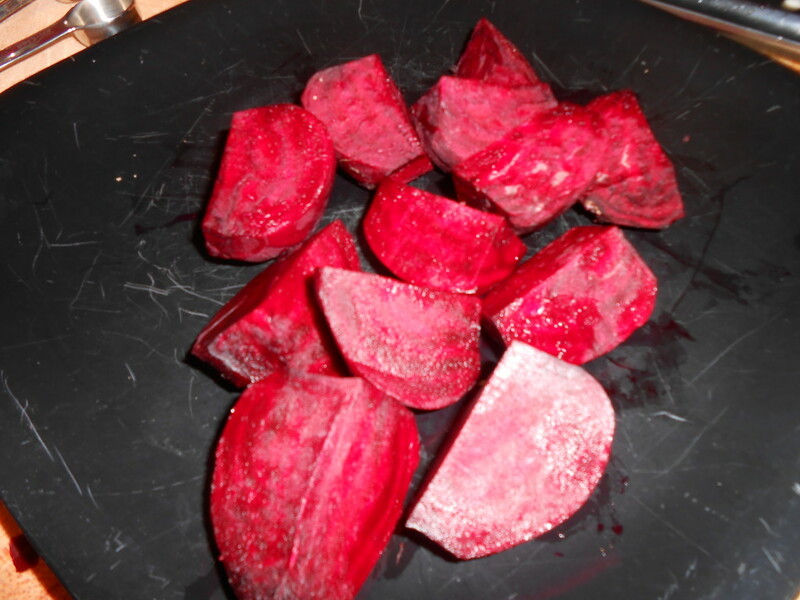 prep the beets by peeling them and then cutting them into large chunks Cut the celery into 2″ pieces, same with the carrots. Peel 3 shallots and cut in half. And everyone goes into the bottom of your roasting pan. Back to the chicken, and the smear. 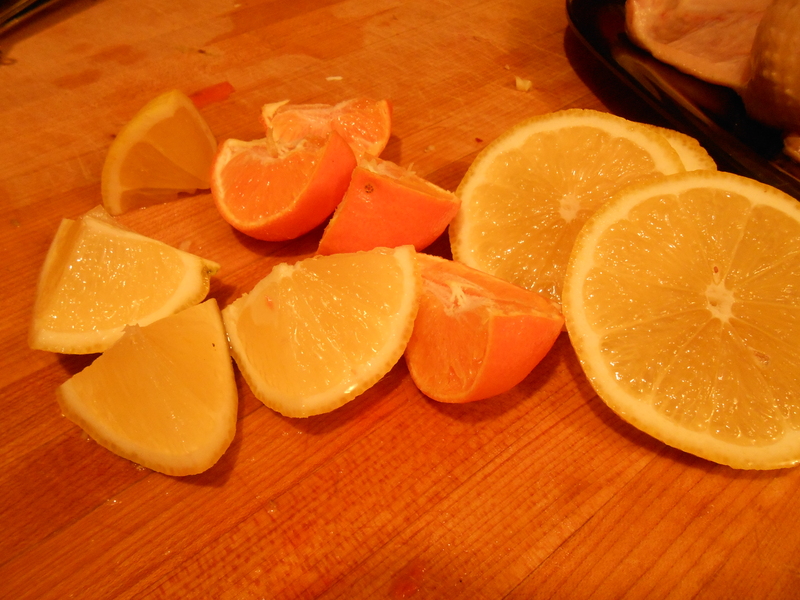 Slice a lemon; if you have one clementine hanging around on it’s way out, cut that up (it will go in the chicken). I was going to use the apple (pictured above) but decided to go all citrus. Your choice! The apple imparts a nice, sweet moisture- but the citrus emphasized the lemon. I’ve done this recipe both ways and liked both. The lemon slices are going to go under the skin and in the chicken cavity. Warning: we are about to get up close and personal with the chicken. Don’t be afraid- it is worth it. 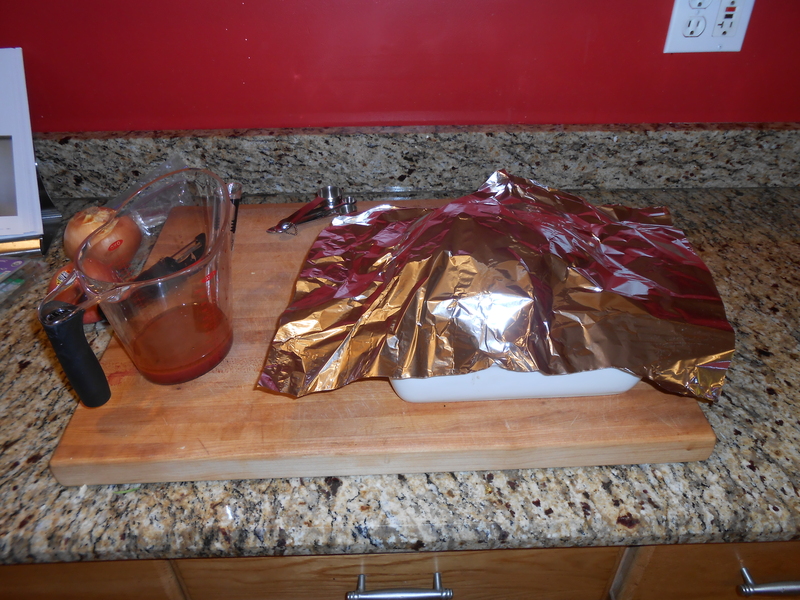 Prior to seasoning and stuffing- remove any packages/parts that were in the chicken, give it a rinse, and pat dry. SAVE THE PARTS FOR STOCK. ahem. Loosen the skin around the breast- and begin shoving lemon slices in there Get the garlic/lemon smear all up in it- on the skin, between the breast and skin, in the space between the breast and legs, in the cavity; flip the bird over, loosen the skin on the back and repeat. DON’T BE SHY. 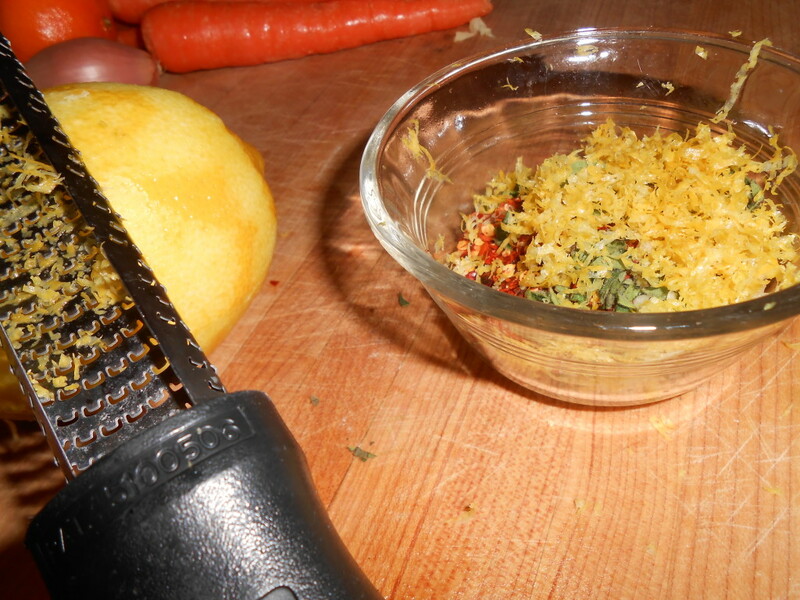 This is how we make it flavorful! This is how we make men swoon, our best friends weep, and girlfriends jump for joy at this thoughtful and delicious dinner. Fill the cavity with citrus and/or apple. 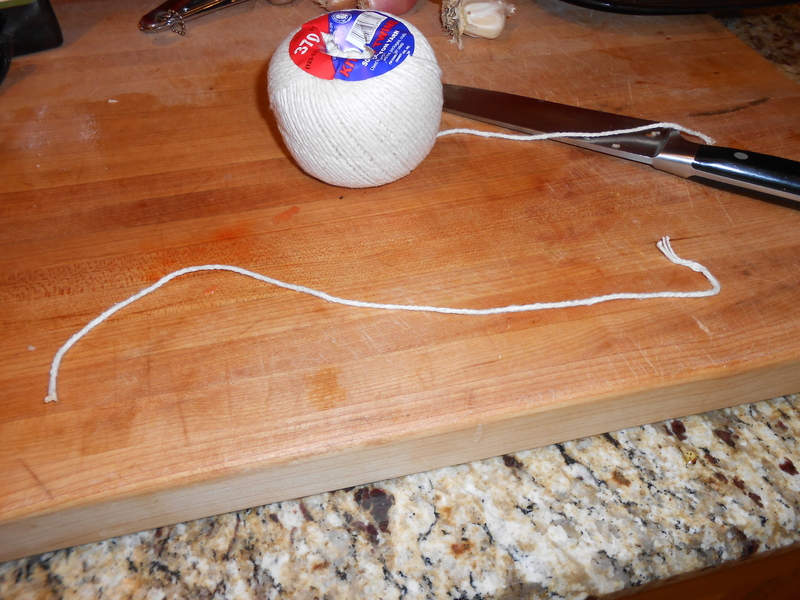 Wash your hands, then find some kitchen string- we are just going to tie up the legs to make the chicken more compact (for even roasting). Extra lemon slices can sit in with our veg, too. YUM. 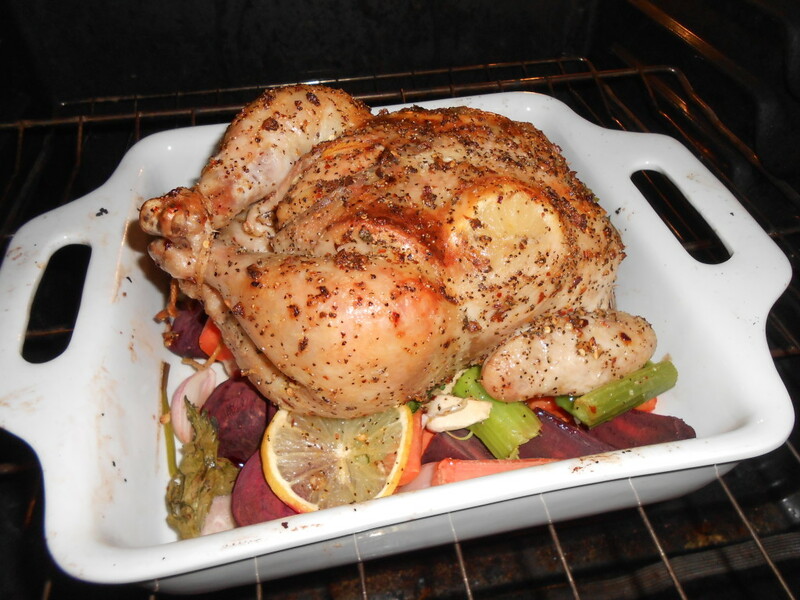 Place the chicken into a hot (425 degree) oven. We are going to add about 3/4 cup of white wine after 30 minutes of roasting. 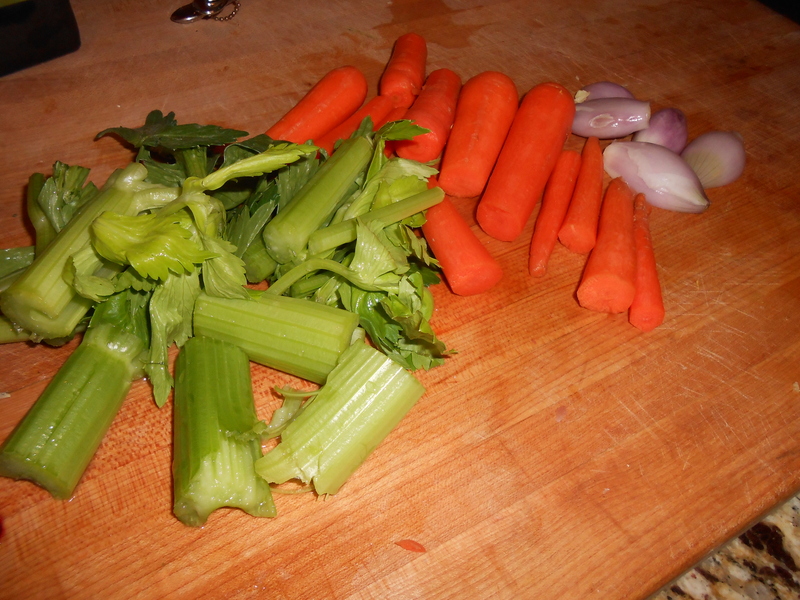 The wine is going to help the veggies cook evenly and will help to create our pan sauce/add to the juices for basting. 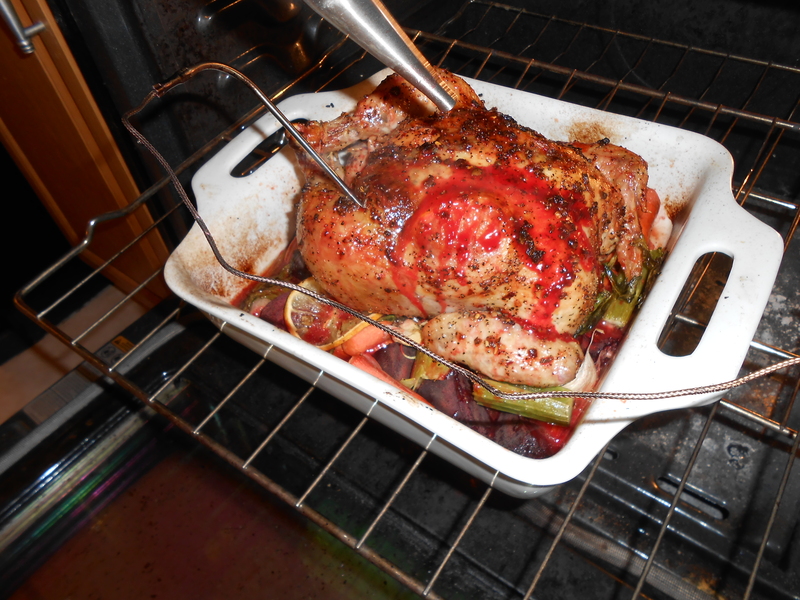 The bird will probably look like this: About 15-20 minutes later, give it a good baste. 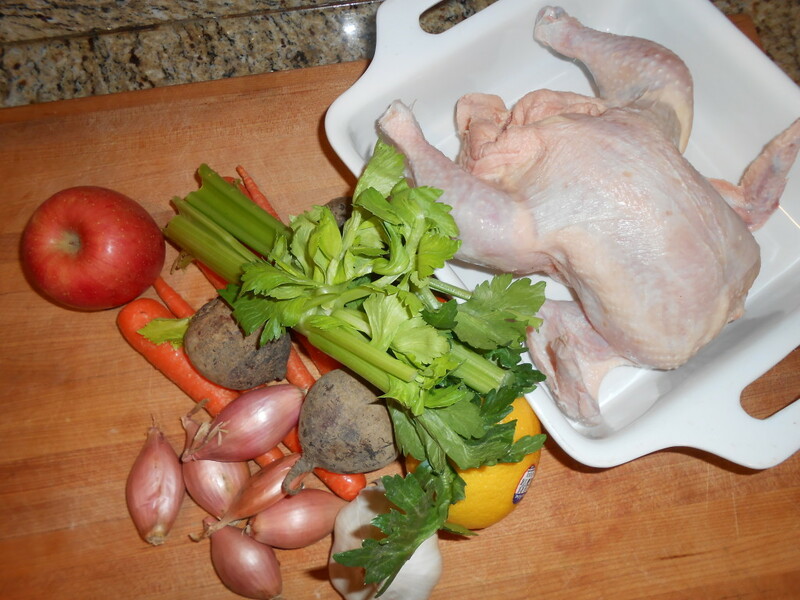 Our chicken needed about an hour total to cook- depending on the size of your chicken it may take less or more time. Take the temp of the chicken- it will give you a good idea of where you are at. We roast our chickens to 155 between the breast and thigh, figuring on another 5-7 degrees added on during the resting time. Yes, the basting liquid is red. It is going to color the skin really nicely! Done! 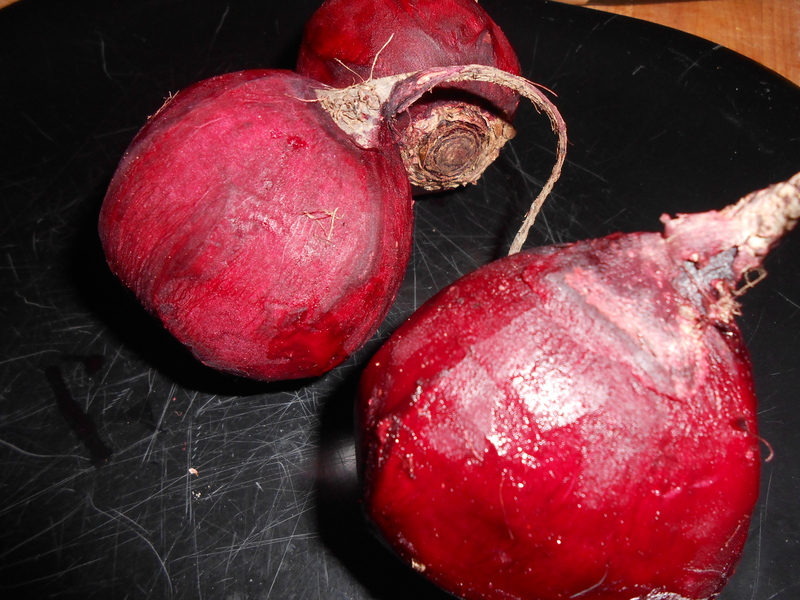 Beautifully brown, luscious, crispy- with perfectly tender root veggies below. 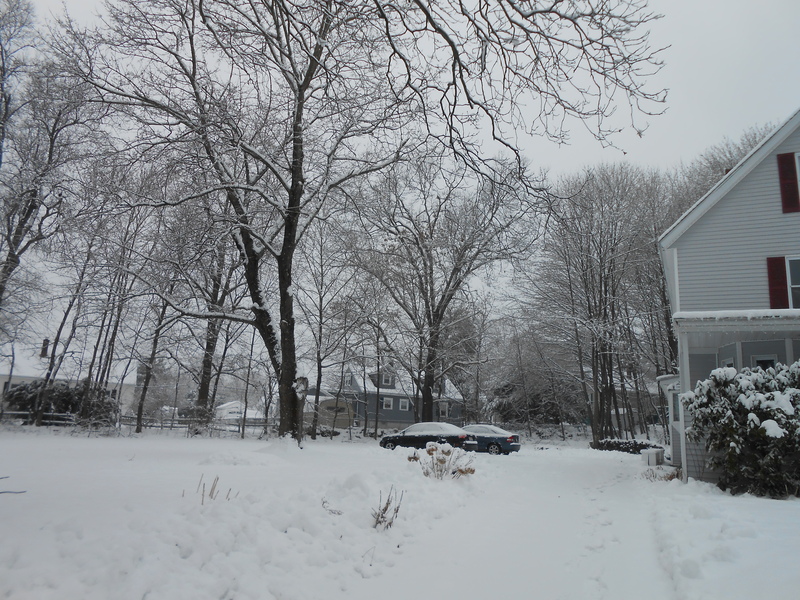 Cover and let it rest- at least 15 – 20 minutes! We drained the juices off into a gravy separator. (Just to eliminate any excess fat). The sauce is simply the pan drippings with NO EXTRA ANYTHING. It was perfect! 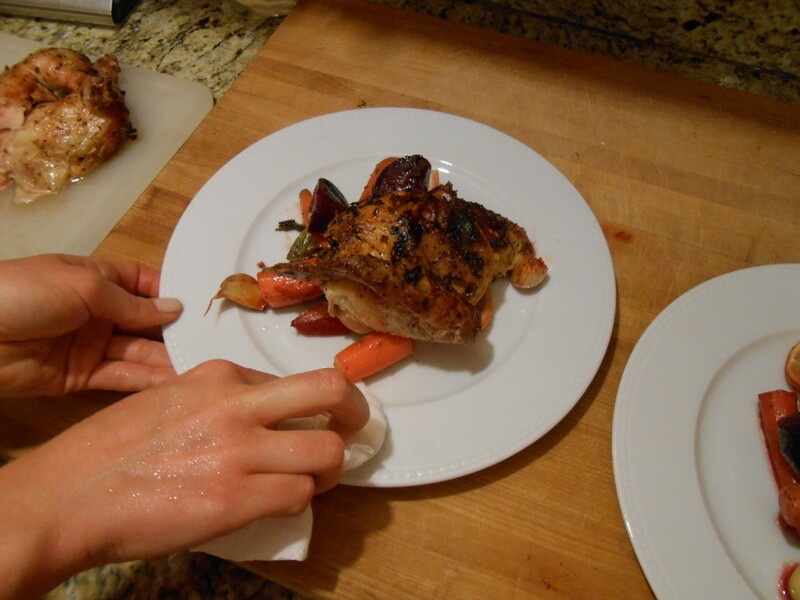 Because the chicken was so well seasoned, the drippings were well seasoned. 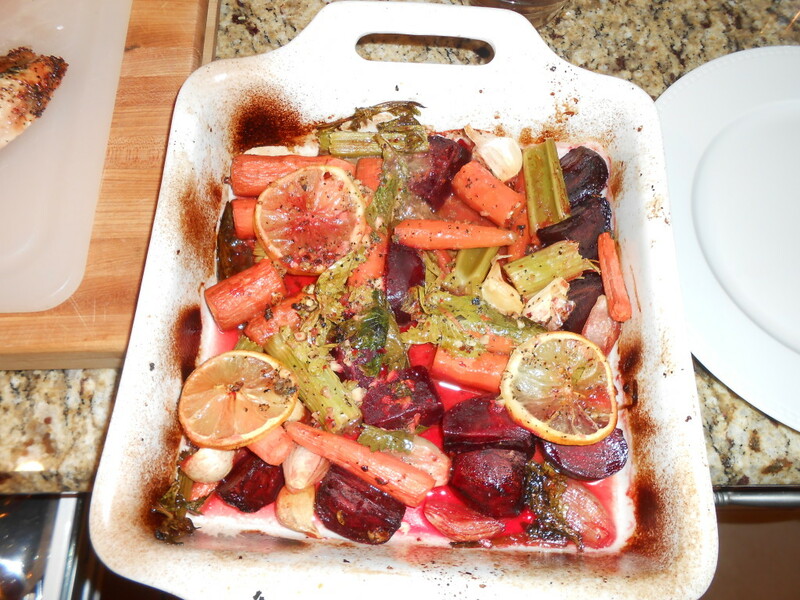 There was good sweetness from the carrots and the beets as well as a nice acidity from the lemon and wine. The root veggies were tender and had absorbed so much flavor from the chicken- if you do white potatoes- they are an excellent addition. We didn’t have any in the house for this particular dinner- but they are ‘da bomb. 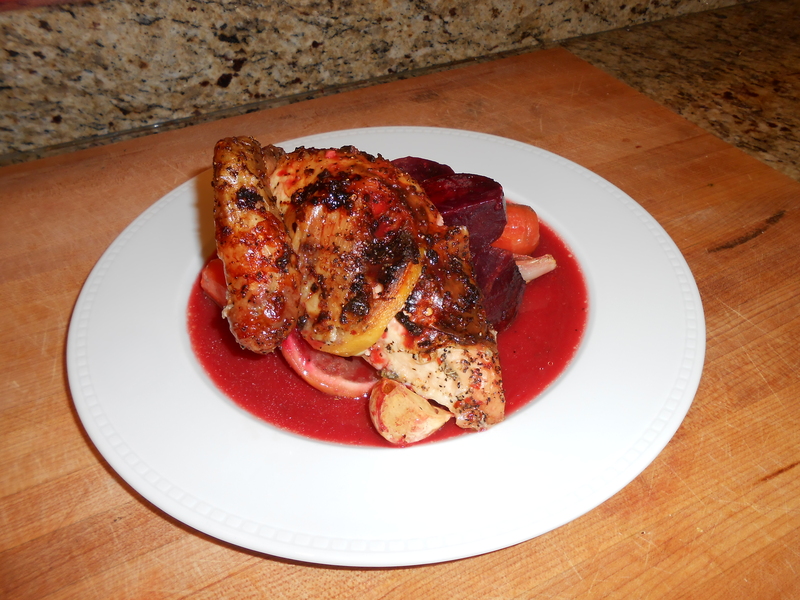 If you don't like beets, the chicken won't be red- but please feel free to substitute potatoes (sweet or white) or any other root vegetables of your choosing! Apple or Citrus (for stuffing into the cavity). 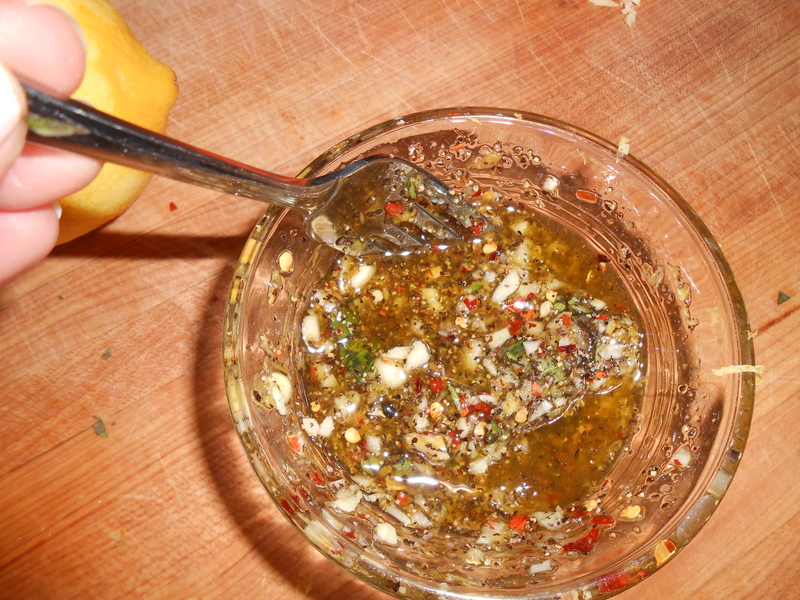 Combine the minced garlic, salt, pepper, lemon zest, olive oil, chili pepper, and oregano in a small bowl. 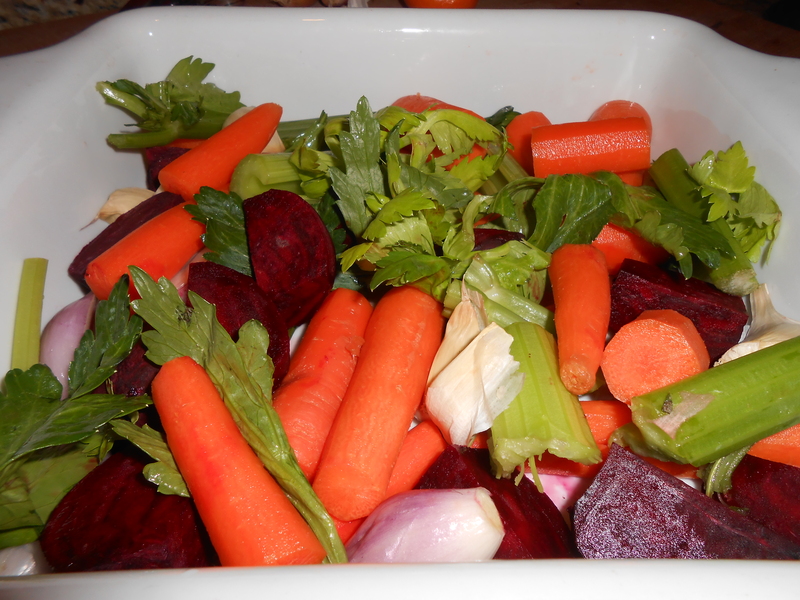 Place the cut root vegetables, whole garlic cloves in the skin, and shallots in the bottom of a roasting pan. 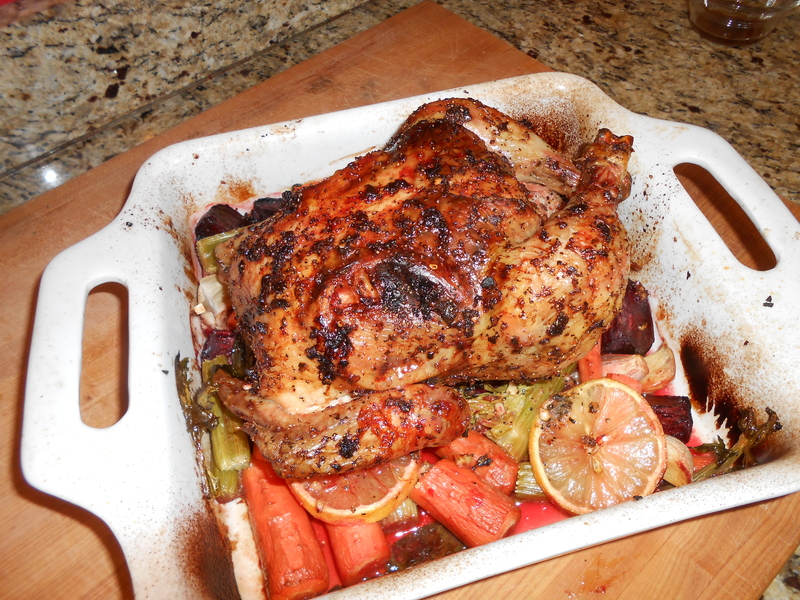 Season the Chicken all over, inside and out with the garlic/lemon rub. 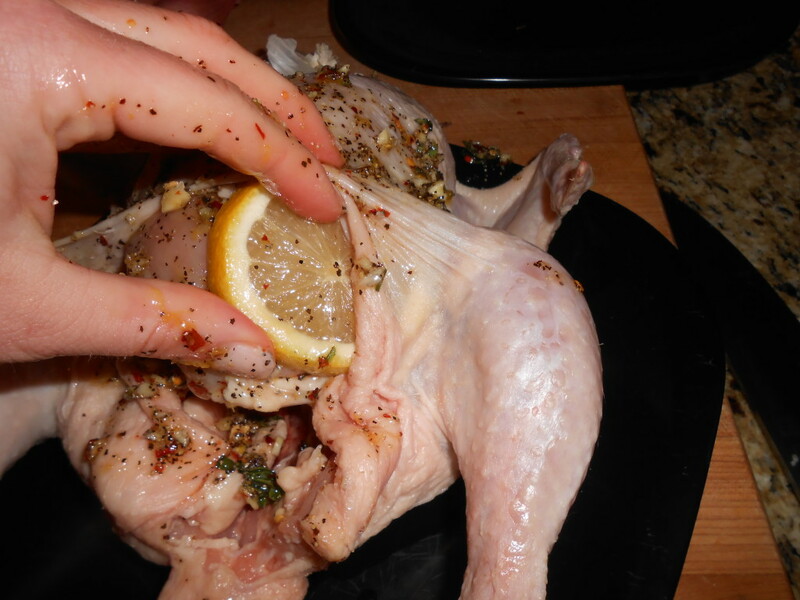 Place lemon slices under the skin over the breast and back of the chicken. Stuff with more citrus. Tie the legs of the chicken together to create a compact shape. Place the chicken directly onto the root vegetables. 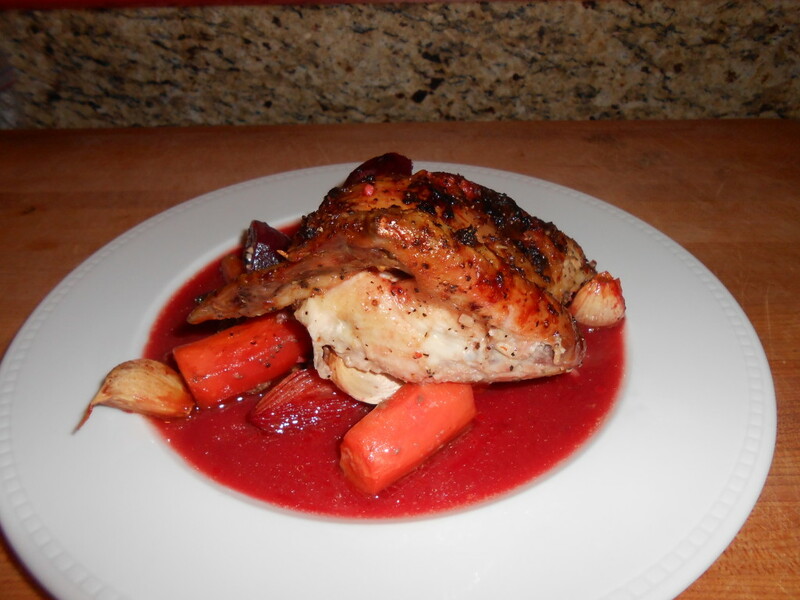 Roast the chicken for about 30 minutes; add the wine to the pan (pouring over the chicken). Roast another 15 minutes or so; baste the chicken. Check the temperature at this time; roast the chicken until the internal temperature (between the thigh and breast) is 155 degrees (at least)- or higher if you roll like that. Baste every 5-10 minutes until it is done. 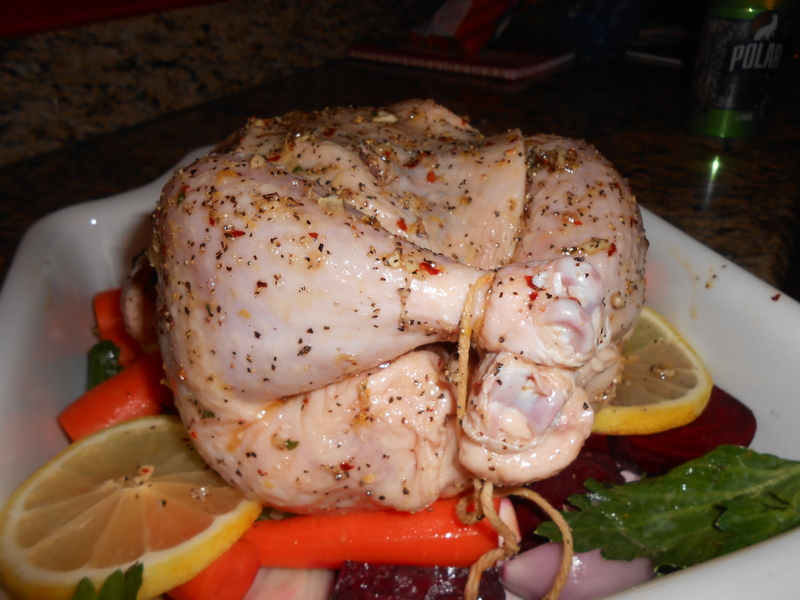 Remove the chicken from the oven, tent with foil, and allow to rest for at least 15 minutes. 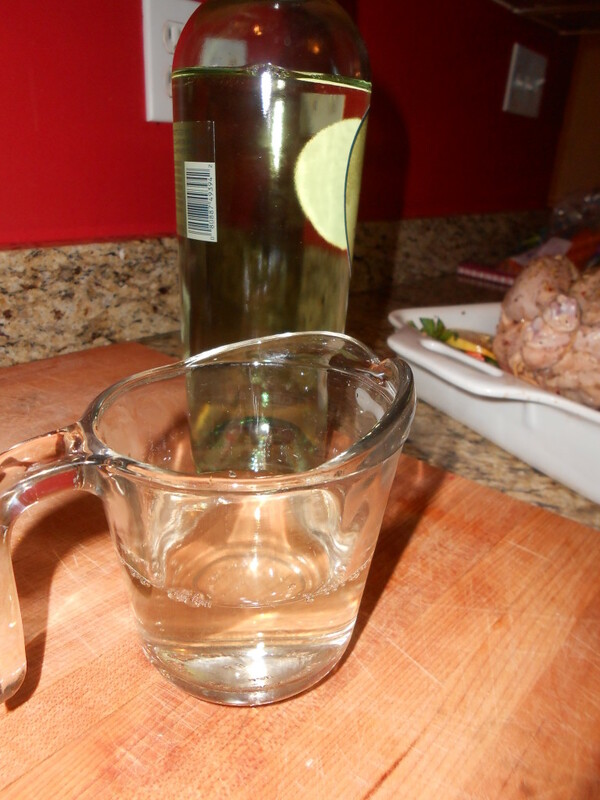 Pour the juices off into a fat separator. 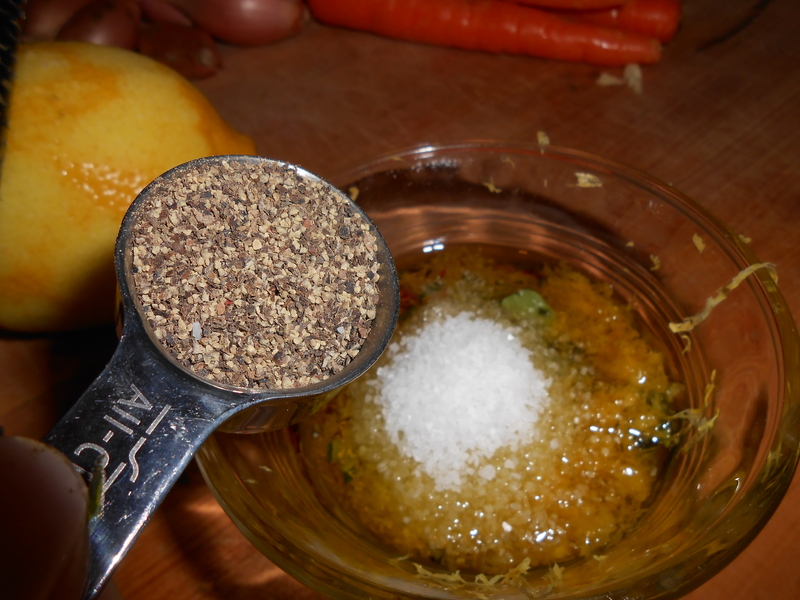 Taste the juices (by pouring some into a spoon)- and adjust seasoning for salt and pepper. It may not be necessary (I didn't add any). 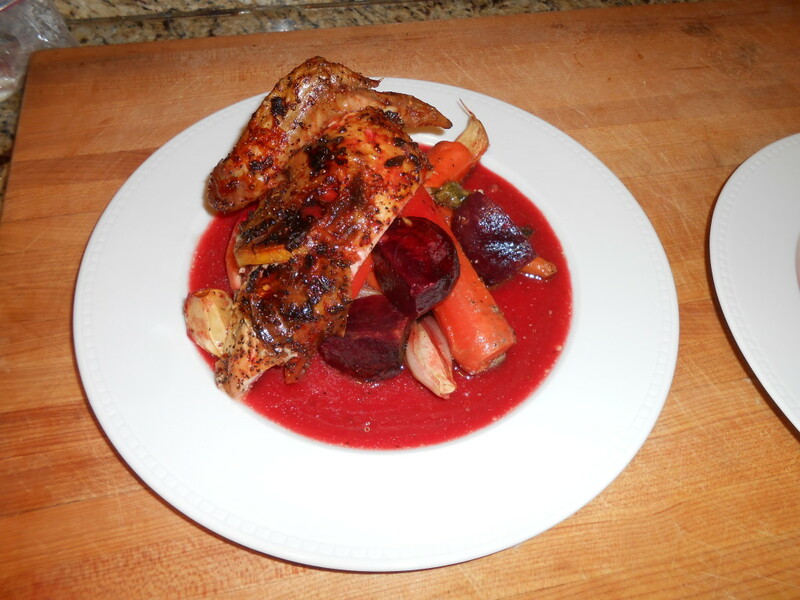 To serve- spoon some root vegetables onto the center of a plate; place slices of chicken on top; pour the pan sauce over the chicken and veggies. Garnish with a little fresh oregano. I recommend serving with crusty bread and a fresh, acidic salad- perhaps a fennel-pomegranate salad, or arugula dressed with lemon and pepper. 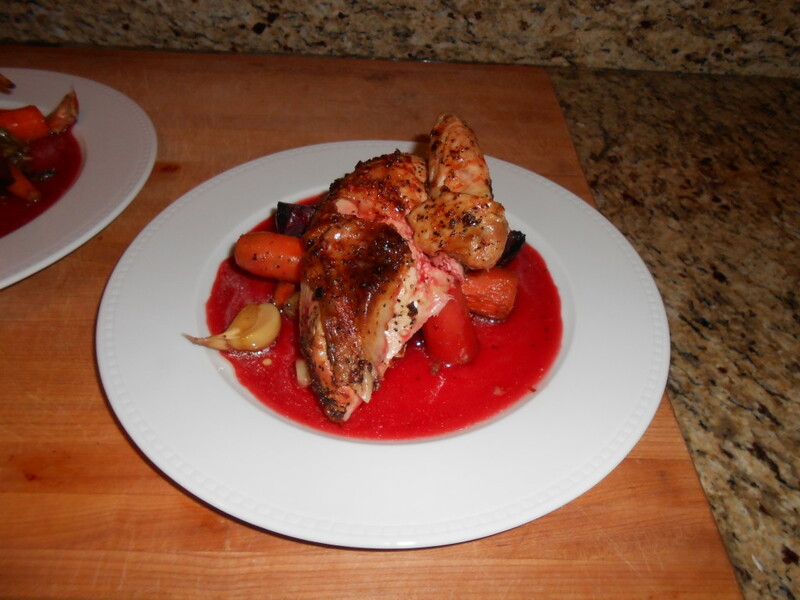 This entry was posted in Cooking, Entertaining, Recipes and tagged beets, date night in, paleo, roasted chicken, valentine's dinner. Bookmark the permalink. Nice. I’ll have to try this one. 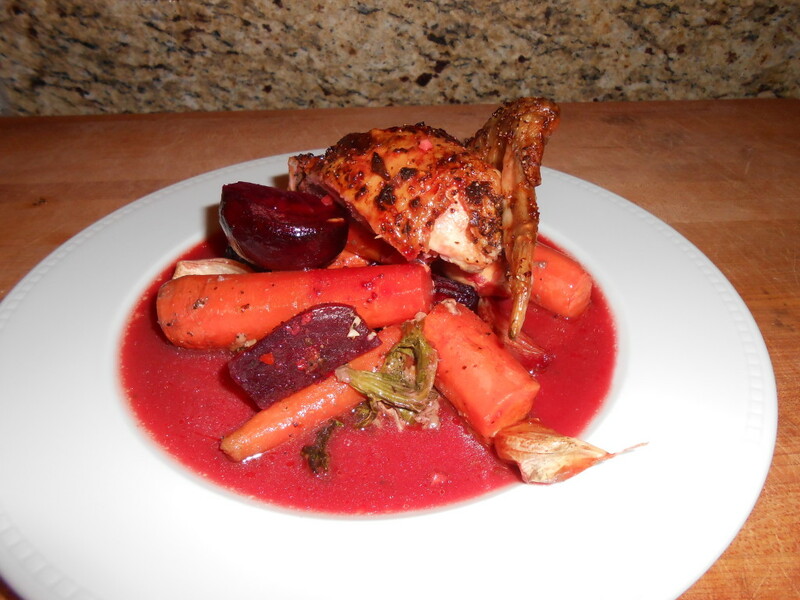 We used to do Bourdain’s roast chicken recipe all the time in the winter. (Herb butter under the skin, lemon+onion in cavity, white wine in the pan with more onion and the chicken accessories, deglaze with more wine and reduce) I also love his poke the legs through the skin easy trussing trick. I love that this is paleo and it looks so yummy! It’s a great twist on a comfort food type of meal because it’s perfect for a beautiful Valentine’s day meal!